"The best piano recitals should have a quasi-literary dimension, where a performer offers a discourse on music by the choice of works, something Mr. Torquati did exceptionally well in his fascinating program. It conveyed not just how he plays the piano, but how he hears and thinks about music." "Torquati dà il meglio di sé per quanto riguarda un exploit pianistico che richiede un complesso lavoro di preparazione ed analisi, con un apice nel toccatistico movimento finale"
"Emanuele Torquati spielt die noch wenig individuell ausgeprägten Stücke sehr leicht und transparent, achtet auf Tonschönheit und noble Linienführung und kommt nie in Versuchung, die Musik mit Bedeutungsschwere zu überfrachten." Charles Tomlinson Griffes (1884-1920) was one of the most original and well-known Romantic American composers. Born into a wealthy family, he started studying the piano at an early age, and went to Europe for further education, an essential rite of passage for any aspiring American musician. In Europe he got acquainted with the Avant-Garde of that time: Debussy, Ravel, Schoenberg and Skrjabin. After this fundamental experience, he developed his own personal style, much influenced by his love for literature and poetry. This recording contains his vast Piano Music, including the ambitious and virtuosic Piano Sonata (1918-1919), written shortly before his premature death. A friend of Brahms and teacher of Schoenberg, Alexander Zemlinsky was a composer who straddled the divide of the 20th century, signalling the end of the Romantic period and the beginning of a marked upswing in experimentation. 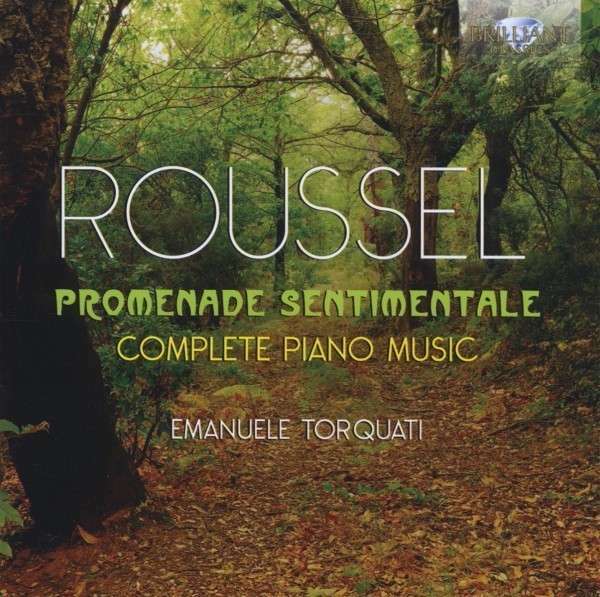 For the most part, however, the piano music on this disc is still firmly in the tradition of the great Romantic composers, composed as itPianist Emanuele Torquati is specialist in this repertoire, his recording of the complete piano music by Albert Roussel (BC 94329) won great critical acclaim in the international press. The French composer Albert Roussel (1869–1937) was ideally placed to develop a unique musical style. His background was more colourful than most of his fellow composers (he initially studied mathematics and worked as a naval officer before devoting himself to music), while his early years as a composer saw him exposed to a barrage of rich but conflicting musical influences: the impressionist movement (spearheaded by Debussy) and the more traditional approach of the Schola Cantorum (championed by d’Indy and Franck). Emanuele Torquati is rapidly gaining international recognition for his poetic and passionate music making, communicative performances and engaging programming. He has been hailed as “a thoughtful musician and a champion of contemporary music” by the New York Times and as “a vibrant pianist, excellent overall” by the Boston Globe. His flourishing career has taken him to some of Europe, Canada, America and Africa’s most illustrious venues, in such diverse cities as Addis Abeba, Buenos Aires (Teatro Colon), San Francisco, Toronto, Banff, New York, Chicago, Vancouver, Boston, Paris, Lyon, Frankfurt, Berlin, Leipzig, Berlin, Prague, Warsaw, Krakow, Munich, Graz, Ljubljana, Kiev and Oslo. His concerts have been broadcasted by RAI, BBC Radio3, Deutschland Radiokultur, MDR Kultur, Radio France, Swiss RSI, RTE Lyric and Euroradio. As a soloist he has performed with such Orchestras as Italian National Radio Orchestra (RAI), Lithuanian National Symphony, Buenos Aires Philarmonics, Avanti! Chamber Orchestra, Tuscany Regional Orchestra (ORT), Haydn Orchester Bozen. A notable performer of new music and an avid chamber musician, he enjoys a diverse and varied career as a pianist. He was artist in residence at The Banff Centre with the project “Voyage Messiaen” in 2008 and in 2010 with “Intimate Sketches: Visions on Leos Janàcek”, and recently at the IIC Paris within the program “Les Promesses de l’Art”. 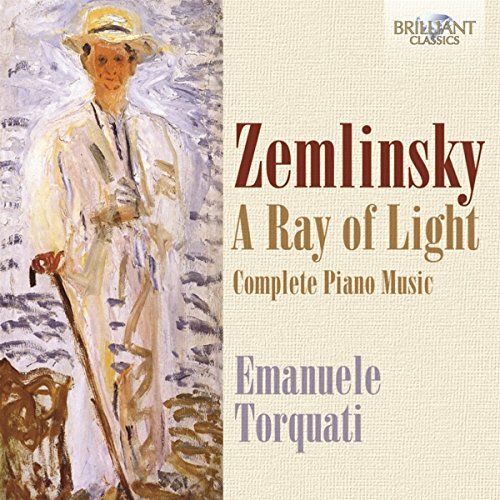 His first recording, “Promenade sentimentale”, devoted to the Complete Piano Music of Albert Roussel has been followed by the Complete Piano Music by Alexander Zemlinsky for Brilliant Classics. 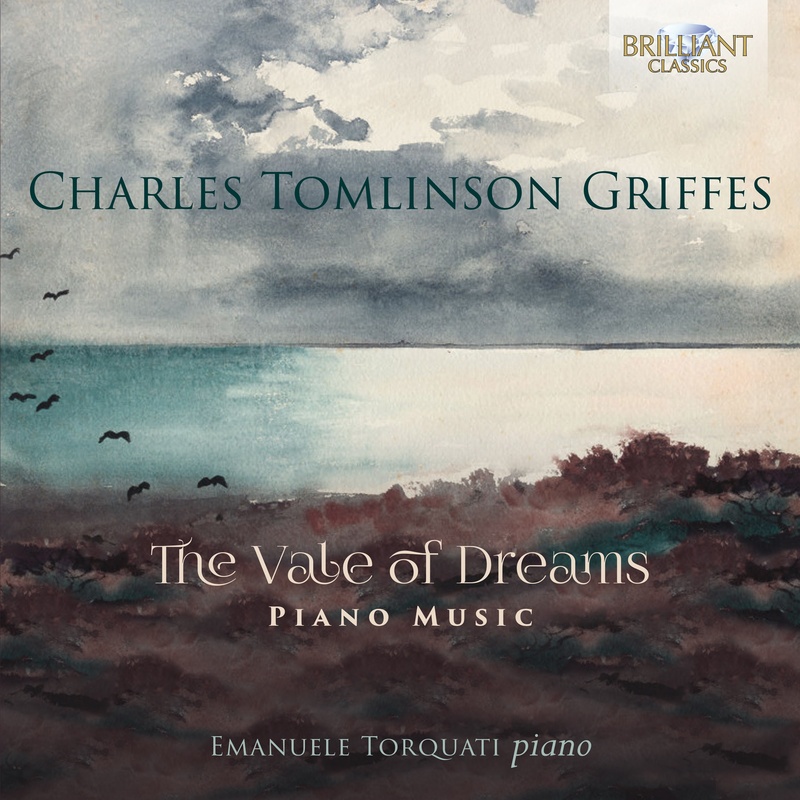 In 2017 a new Album “The Vale of Dreams: Charles Griffes Piano Music” has been released. With cellist Francesco Dillon, he recorded 3 Cds with Schumann rarities and the Complete Works by Franz Liszt. A new CD with Brahms rarities (Sonata n. 1 op. 78, Hungarian Dances and Lieder) has been released in March 2018. Moreover, he has worked intensively with leading composers including Salvatore Sciarrino, Sylvano Bussotti, Wolfgang Rihm, Kaija Saariaho, Beat Furrer, Jonathan Harvey, Brett Dean, Thomas Larcher, Magnus Lindberg, Peter Ablinger and he has collaborated among others with musicians such as Isabel Charisius, Matthias Pintscher, Michael Gielen, Marisol Montalvo, Garth Knox, Susanne Linke, Inon Barnatan and Prometeo String Quartet. 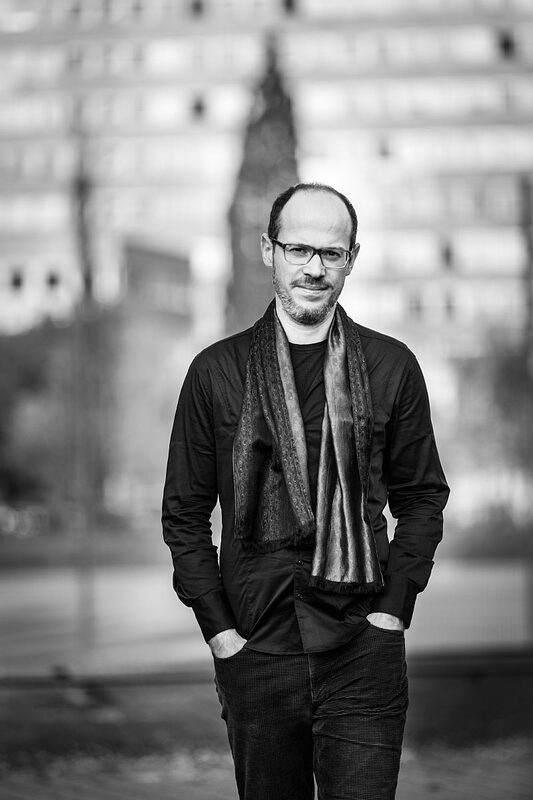 The recipient of several international awards, Torquati has been supported by Institutions such as CEMAT, Accademia Musicale Chigiana, DAAD Bonn, Ambassade de France en Italie, Universität für Musik und Darstellende Kunst Graz, Ensemble Modern, The Banff Centre. He has been invited to give Masterclasses within several Universities and Conservatories in Italy and abroad, a.o. for New York University, Boston University, University of La Plata and Universidad Popular de Còrdoba (Argentina), Trinity College Dublin and Southampton University. He is currently Professor at State Conservatory “G. F. Ghedini” in Cuneo. Torquati was born in Milan in 1978. His most influential teachers were Giancarlo Cardini and Konstantin Bogino. He also worked closely with Alexander Lonquich, Yvonne Loriod-Messiaen, Ian Pace, Michael Wendeberg. He went on to specialize in Chamber Music first with Franco Rossi (Quartetto Italiano), then he achieved a Master Degree at the International Chamber Music Academy of the Trio di Trieste. Since 2010, he’s the artistic director of music@villaromana for German institution Villa Romana. (Updated January 2019). Si è esibito come solista con l’Orchestra Filarmonica di Buenos Aires, Avanti! Chamber Orchestra, Orchestra Sinfonica Nazionale Lituana, ORT Orchestra Regionale della Toscana e con l’Orchestra Sinfonica Nazionale della RAI di Torino, Orchestra Haydn di Trento e Bolzano. La sua attivitá artistica è stata sostenuta da prestigiose istituzioni, quali Federazione CEMAT, Accademia Musicale Chigiana, DAAD, Ambassade de France en Italie, Universität für Musik und Darstellende Kunst Graz, New England Conservatory, Ensemble Modern. Già artist in residence presso The Banff Centre con il progetto “Voyage Messiaen”, ed in seguito con “Intimate Sketches – Visioni su Leos Janacek”, nel 2014 è stato invitato come artista in residenza presso l’Istituto Italiano di Cultura di Parigi nel quadro del programma “Les Promesses de l’Art”. A livello discografico, ha al suo attivo le integrali pianistiche di Albert Roussel nel doppio CD “Promenade Sentimentale” e di Alexander Zemlinsky per Brilliant Classics, oltre all’uscita in prima assoluta con Samy Moussa per COL LEGNO. In duo con il violoncellista Francesco Dillon ha realizzato tre CD di rarità schumanniane e l’integrale delle opere di Franz Liszt. Nel 2017 è stata pubblicata l’integrale pianistica di Charles Griffes “La Valle dei Sogni” e nel Marzo 2018 è stata la volta di un CD di rarità brahmsiane (Sonata op. 78, Danze Ungheresi e Lieder) per il decennale del Duo con Francesco Dillon. La passione per la musica contemporanea lo ha portato ad eseguire in prima esecuzione svariate opere cameristiche e per pianoforte solo e a lavorare intensamente con compositori di primo piano, quali: Salvatore Sciarrino, Sylvano Bussotti, Wolfgang Rihm, Kaija Saariaho, Beat Furrer, Jonathan Harvey, Thomas Larcher, Brett Dean, Magnus Lindberg, Peter Ablinger e con artisti quali Isabel Charisius, Matthias Pintscher, Marisol Montalvo, Garth Knox, Susanne Linke, Inon Barnatan, Quartetto Prometeo. In campo didattico è stato invitato a tenere Masterclasses da istituzioni quali IULM, G.A.M.O., Scuola di Musica di Fiesole, Conservatorio statale “F. Bonporti” di Trento, “B. Marcello” di Venezia, “L. Perosi” di Campobasso, “V. Bellini” di Palermo, “G. Tartini” di Trieste, “N. Rota” di Monopoli, Istituto Superiore di Studi Musicali “Achille Peri” di Reggio Emiliaed all’estero, in Europa presso il Trinity College di Dublino e la Southampton University, negli Stati Uniti (New York University e Boston University) ed in Argentina (Università di La Plata e di Còrdoba). Attualmente insegna Pianoforte presso il Conservatorio Statale “G. F. Ghedini” di Cuneo. Dopo essersi diplomato a Firenze sotto la guida di Giancarlo Cardini, si è perfezionato con Konstantin Bogino, lavorando inoltre con Alexander Lonquich, Yvonne Loriod-Messiaen, Ian Pace e Michael Wendeberg. Parallelamente ha approfondito il repertorio cameristico con Franco Rossi prima, con il Trio di Trieste poi, presso la Scuola Superiore Internazionale di Duino, conseguendovi il Diploma di Merito. Dal 2010 è direttore artistico della stagione di musica contemporanea “music@villaromana” di Firenze. (Aggiornato Gennaio 2019).